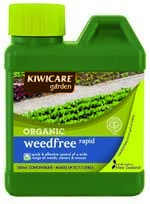 The fabulous folk at Kiwicare are offering Flaming Petal readers the chance to WIN one of five bottles of their new Organic Weedfree Rapid. This stuff is amazing. It’s a super fast-acting natural weed killer that works within three hours. Truly it does. I’ve used it myself. It’s BioGro certified too, so you can be certain you’re using a totally organic product. To go into the draw to win one of five bottles, simply write a comment on this post. It’s easy. You don’t need to register for anything. Just type away. Don’t panic if your comment doesn’t appear straight away – I have to approve it first. That’s just to stop spammers from getting through. You don’t need to put any contact details on the post either. Your post automatically sends me your email – but no one else can see it. And I certainly won’t be showing anyone. You can write anything you like. 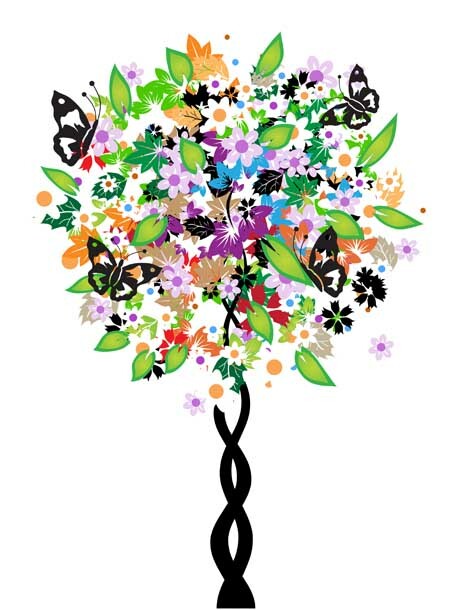 Tell me your favourite flower, your best gardening/weeding tip, or just say hi. The competition closes Sunday 27th November 2011. Winners will be notified by email. Good luck! While you’re here, check out Kiwicare’s website. It has a FANTASTIC garden solutions page where you can identify and solve your garden problems. Congratulations! Your bulb packs will be sent to you shortly. Don’t forget to send us photos of your flowering tulips come spring! Check out this beautiful new tulip, available now from GardenPost. 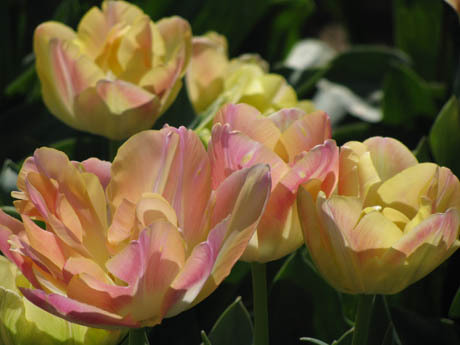 Called ‘Peach Melba’, it’s a multi-coloured double tulip with pink outer petals touched with green and peachy-apricot central petals. It’s totally gorgeous! 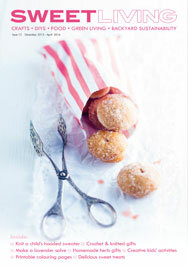 And the good folk at GardenPost are offering three lucky readers the chance to WIN A PACK OF 5 ‘PEACH MELBA’ BULBS each. All you need to do is visit GardenPost’s website (click here) and register to receive their catalogues (they’re free!). 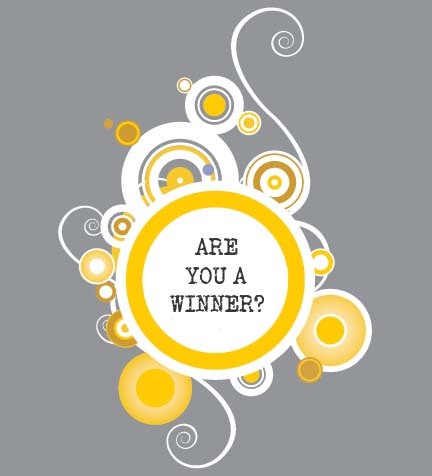 In the comments box, write where you saw this competition (Waikato Times, Southland Times, Manawatu Standard, or from this blog), and three lucky winners will be drawn. So good luck! Competition closes Sunday March 20th. Congratulations to our three lucky echinacea plant winners – Sue Stretton, Ruth Trethewey and (another) Ruth. All names were literally placed into a hat and picked at random. 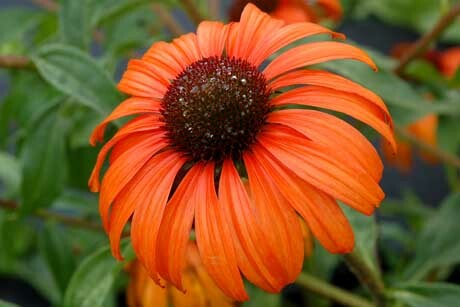 Sue won the ‘Tangerine Dream’ echinacea (pictured), Ruth Trethewey won ‘Coral Reef’ and Another Ruth won ‘Pink Poodle’. Congratulations, ladies. Your plants will be sent to you shortly. 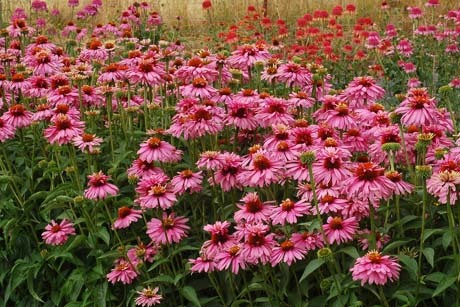 Here’s another picture of the fanciful new echinacea, ‘Pink Poodle’. Note the frilly petals; this shot was taken before most of the heads had transformed themselves into raggedy poodles. In the initial stages the flowers often look more like the traditional echinacea, but as they age they gradually develop a fuller, fluffier form, adding more rows of petals from the central flower head, like a floral Mohawk. There’s still time to ENTER THE DRAW TO WIN ONE (plus the new varieties ‘Coral Reef’ and ‘Tangerine Dream’). To enter the draw, check out the fifth post below, or click right here to go directly to it. Just look at these three new fancy echinaceas, all brand-new releases, out this month. The top photo shows the variety ‘Coral’ Reef, a double echinacea, with dark orange rays that fade to coral, and an unusual coral cone. The middle photo is ‘Pink Poodle’ (truly, it is an echinacea), which has extraordinary double pink dahlia-like blooms that are a massive 10cm wide. The next is ‘Tangerine Dream’, a single form, with deep orange, downward-curving petals. All are hardy plants that are superb cut flowers. I have one plant of each variety to give away (that’s three lucky winners who win one exquisite new echinacea of their choice). To go into the draw to win one, just post a comment here (click on the comments tag above these photos), and let me know which one you like best. (Only one entry per person.) I’ll publish the winners’ names here. So good luck! Competition closes Sunday 27th February. Did you enter the competition to win a packet of Rudbeckia ‘Orange Fudge’ seeds from Kings Seeds? A fair number of you did, but only five of you could be winners. So congrats to those lucky five, who hail from all around the country. Congratulations. Your seeds will be posted to you very shortly. And don’t forget to send me photos when they’re flowering!